A lot of thought goes into coming up with kids birthday party ideas and slumber party planning, but the challenge is to find fun kids activities that will make the event a success. With almost two decades of experience in offering wearable art products to school groups, children's camps, scouting troops, and birthday parties, Colortime Crafts and Markers knows kids. One of the craft ideas for kids we recommend for birthday parties or fun sleepovers is a "Color your own t-shirt" activity. 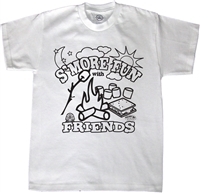 The kids will love the chance to create and wear t-shirts that they had a hand in making. And best of all, these cool t-shirts, like the memory of the party, could last for years. 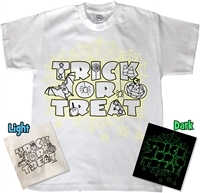 Tie dye or color these t-shirts with Colortime's permanent fabric markers!